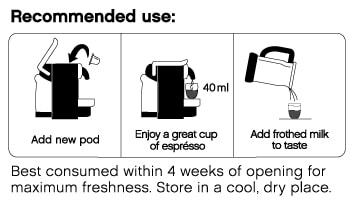 Biodegradable Nespresso®* compatible coffee pods. 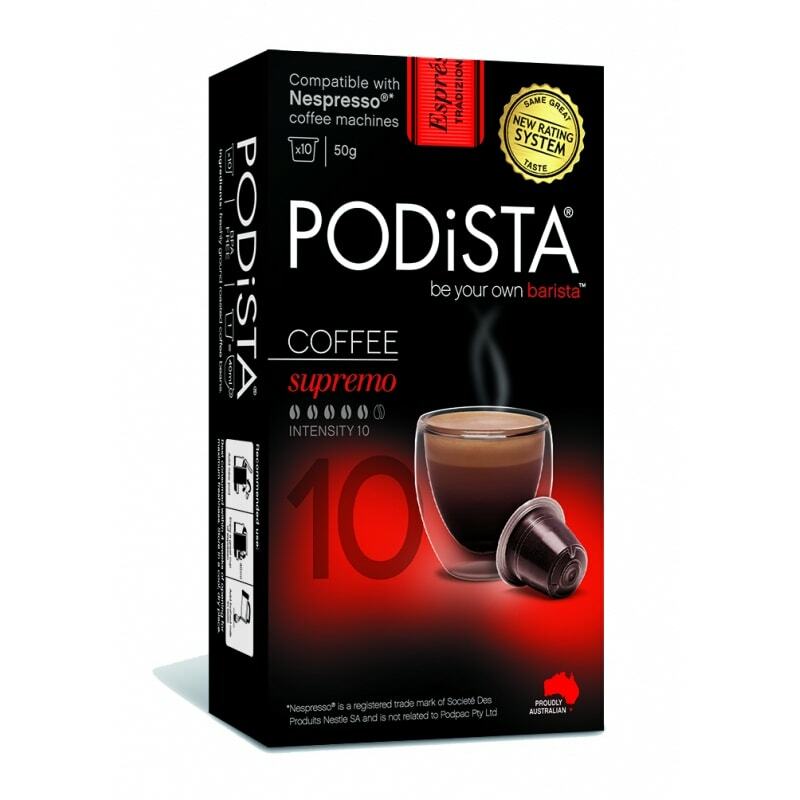 As the name describes, the Supremo Coffee Pods from Podista are a supremely smooth drop, perfect for a morning routine or an afternoon pick me up. 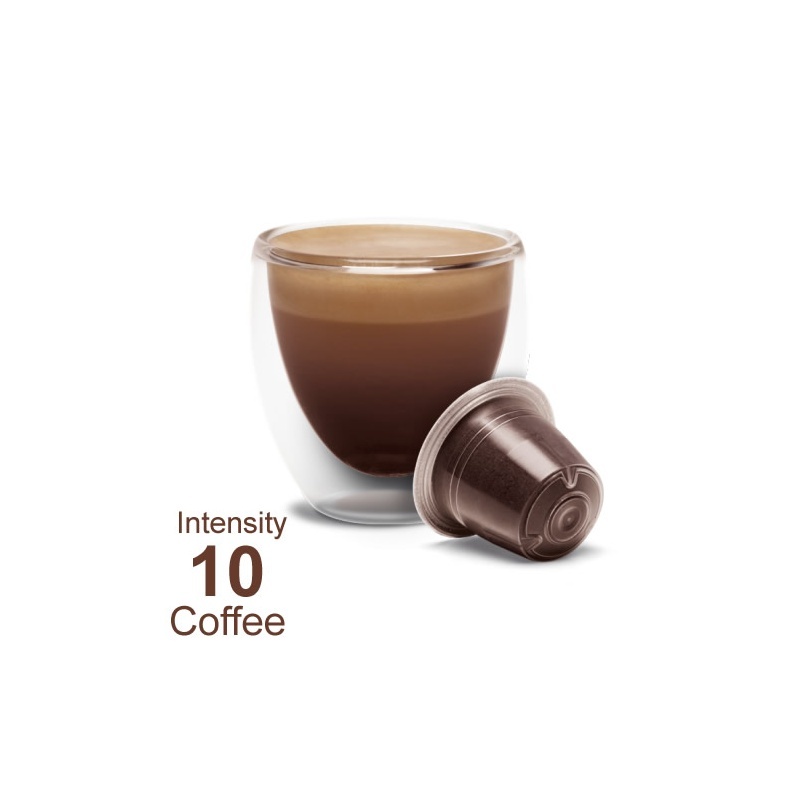 It is strong espresso with a pleasing Aroma and well-balanced body. If you enjoy the finer things in life - Supremo is for you! 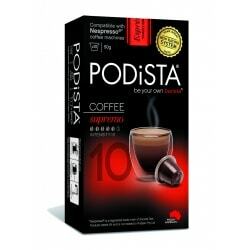 These coffee pods are biodegradable and made with d2w oxo-biodegradable plastic. More information about our biodegradable pods and the environment. Contains: Freshly Ground Roasted Coffee Beans.